The great rivalries of rugby league will intensify in round two with a mouth-watering lineup of matches set to burst onto Nine’s Wide World of Sports. Local bragging rights are on the line when the Sharks and Dragons square off tonight on Thursday Night Football in a fixture that has a history of bringing out the best in each side. The Dragons had a convincing round one win over the Broncos with star recruit Ben Hunt haunting his former club, while the Sharks fell short in a tough away fixture against the Cowboys. This week the Sharks will use both Josh Dugan and Valentine Holmes in the fullback role when they circle for their first win of their 2018 NRL premiership campaign. On Friday Night Football, the rivalry between the Broncos and Cowboys continues in what shapes as yet another all-Queensland classic, with memories of the 2015 Grand Final still vivid in the minds of many. The Cowboys ride into Suncorp Stadium behind Johnathan Thurston who will play his last regular season match against the Broncos at the venue he has become synonymous with in his glittering career. The Broncos had a bumpy start to their season last week and won’t need any extra motivation against the team they have built one of the most thrilling rivalries of the modern era with. On Sunday Afternoon Football, the Sea Eagles and Eels reignite their long-running rivalry on the Northern Beaches where both look to claim their first victory of the season. The Eels boast a strong roster in 2018 with attacking threats Corey Norman, Jarryd Hayne, Mitchell Moses and Bevan French all ready to make amends for their round one loss to the Panthers. The Sea Eagles will rely on Daly Cherry-Evans as well as Tom and Jake Trbojevic to play major roles and have the Manly faithful singing the “Eagle Rock” once again. • THURSDAY NIGHT FOOTBALL – Tonight, March 15, from 7.30pm AEDT on Nine and 9Now. Peter Sterling, Brad Fittler, Phil Gould and host James Bracey will cover all the action for the Sharks vs Dragons local derby at Southern Cross Group Stadium, Live and Free in HD. • THE NRL FOOTY SHOW – Tonight, March 15, after the footy. Andrew Johns, Ryan Girdler and host Erin Molan are joined by Sam Thaiday and Benji Marshall straight after the footy. We cross live to Billy Slater ahead of his 300th NRL game. Beau Ryan hangs out with Gold Coast Titans cult hero Konrad Hurrell, and Darryl “The Big Marn” Brohman returns with Small Talk with the Big Marn. • FRIDAY NIGHT FOOTBALL – March 16 from 7.30pm AEDT on Nine and 9Now. Paul Vautin, Darren Lockyer, Brad Fittler, Wally Lewis, Phil Gould and host James Bracey are LIVE and FREE in HD with exclusive access to Suncorp Stadium for the pre-game and post-game shows, including access to the dressing rooms and press conferences following the match. • INTRUST SUPER PREMIERSHIP – 1.00pm Saturday, March 17, on Nine and 9Now in NSW. The next generation of NRL stars will be on show this week when the Newcastle Knights play Wests Magpies at Leichhardt Oval. Caller Joel Caine will be joined by Cronulla Sharks captain Paul Gallen and former Jillaroos star Allana Ferguson. • INTRUST SUPER CUP – 1.00pm Saturday, March 17, on Nine and 9Now Queensland. The premier competition for the Sunshine State this week pits the Ipswich Jets against Townsville Blackhawks. Former Queensland Origin representative and NRL premiership winner Scott Sattler will be joined by Peter Psaltis and Ben Dobbin. 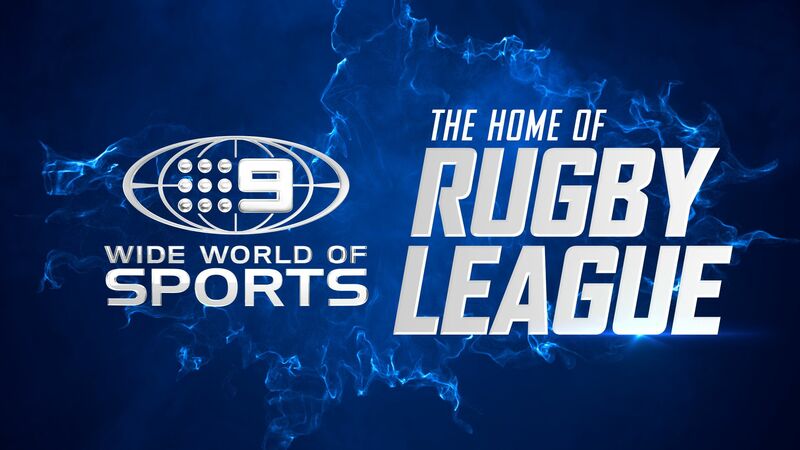 • SPORTS SUNDAY – Sunday, March 18, at 10.00am AEDT, LIVE on Nine. Bold and passionate debate about the biggest issues in the world of sport. Headlined by two of Australia’s leading sports personalities and opinion-makers, Liz Ellis and Peter FitzSimons, this week host James Bracey will welcome Mark Taylor to the panel to talk about the fallout from the dramatic second cricket test in South Africa. • SUNDAY NRL FOOTY SHOW – Sunday, March 18, at 11.00am AEDT. Host Erin Molan will be talking footy with Peter Sterling, Brad Fittler and Allana Ferguson. We venture to the Hunter for a one-on-one chat with Newcastle Knights star Kalyn Ponga. • SUNDAY AFTERNOON FOOTBALL – Sunday, March 18, at 3.00pm AEDT. The Manly Sea Eagles host the Parramatta Eels at Lottoland in their first home match of the season. A one-hour, pre-game show straight from the match venue will feature experts Andrew Johns, Phil Gould, Brad Fittler, Benji Marshall and host James Bracey covering a big afternoon of NRL action. • 100% FOOTY – Monday, March 19 at 10.00pm AEDT on Nine and 9Now. 100% Footy is the home of the strongest opinions in rugby league from the people who count. Phil Gould returns with Paul Gallen, alongside Jillaroos star Ruan Sims and journalist Neil Breen. Hosted by James Bracey, 100% Footy is a weekly dive into the hottest topics in the greatest game of all. ** Check local guides for details. Times will differ.